On My Radar is a list of upcoming publications that look interesting and appeal to me. It’s a way for me to track what is coming out, to figure out what I am most excited about, and to make sure I don’t miss anything! 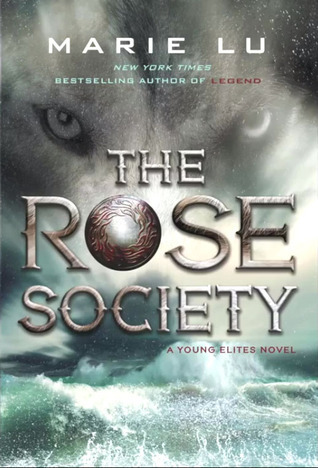 I absolutely devoured the first book in this series, The Young Elites. I liked the venetian setting, the idea of superheroes living in a time resembling the renaissance, and the way prejudice is explored through hair colour. But the thing that really stood out to me was the main character, Adelina. She is tough, damaged, talented, and can be downright cruel and mean. I’m really excited to see how things proceed in the second book! “Once upon a time, a girl had a father, a prince, a society of friends. Then they betrayed her, and she destroyed them all. This next book drew me in because of the fabulous cover, and then I saw that it is a book about Wendy Darling from Peter Pan. It sounds like such an interesting take on the original story: What if Peter actually plucked Wendy from a perfectly fine life, and then tricked and manipulated her into forgetting about it. “Wendy Darling has a perfectly agreeable life with her parents and brothers in wealthy London, as well as a budding romance with Booth, the neighborhood bookseller’s son. But while their parents are at a ball, the charmingly beautiful Peter Pan comes to the Darling children’s nursery and—dazzled by this flying boy with god-like powers—they follow him out of the window and straight on to morning, to Neverland, an intoxicating island of feral freedom. I had heard about Susin Nielsen, but I recently re-discovered her when looking at Governor General nominees in Canada. 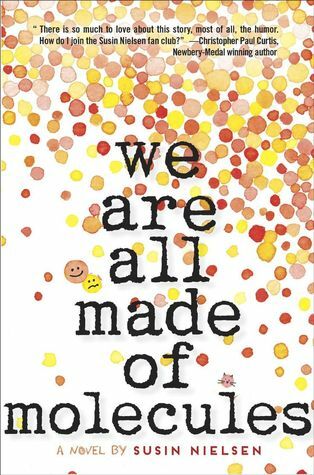 This next book is up for a Governor General Award this year, and it sounds like it could be a really sweet and interesting look at two young teens with opposite lives and personalities. I also appreciate that the protagonists are at that very interesting age of 12-14 years old. “Award-winning author Susin Nielsen has created two narrators who will steal your heart and make you laugh out loud. 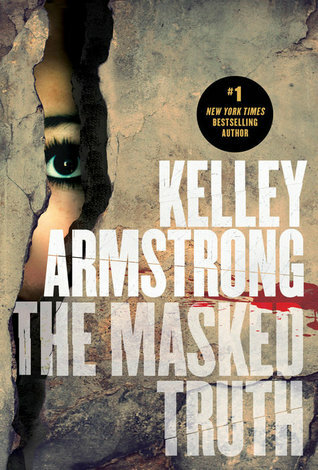 I really like Kelley Armstrong, particularly because she is a Canadian author from Ontario. This next book is a short story she has coming out just in time for Hallowe’en! “Riley Vasquez is haunted by the brutal murder of the couple she was babysitting for. 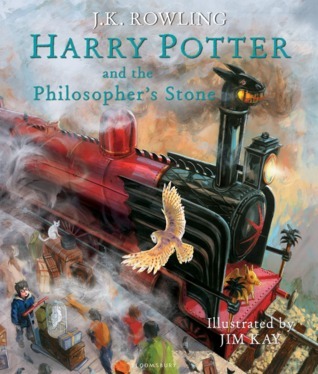 How could I not include this beautiful, fully-illustrated copy of Harry Potter and the Philosopher’s Stone? I’m basically a sucker for anything Harry Potter. I have both Film Wizardry and Page to Screen, so you know I will be getting this one too! It will be an interesting way to re-experience the first Harry Potter book. As I’ve shown above, I am pretty obsessed with Canadian authors at the moment, especially middle grade books. The Nest sounds like it will be an eerie read for October. I like to set myself a reading list of creepy books to get into the Hallowe’en spirit. This is a haunting gothic tale for fans of Coraline, from acclaimed author Kenneth Oppel (Silverwing, The Boundless) with illustrations from Caldecott Medalist Jon Klassen. s just another season of worries. Worries about his sick newborn baby brother who is fighting to survive, worries about his parents who are struggling to cope, even worries about the wasp’s nest looming ominously from the eaves. So when a mysterious wasp queen invades his dreams, offering to “fix” the baby, Steve thinks his prayers have been answered. All he has to do is say “Yes.” But “yes” is a powerful word. It is also a dangerous one. And once it is uttered, can it be taken back? This next book is also a Governor General nominee, and got good reviews on Goodreads. I have never heard of the author, but it sounds like it could be an interesting read about bullying. 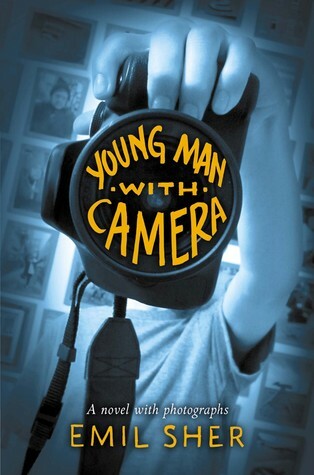 A picture is worth a thousand words–and with a unique photographic format, a stunning original voice, and a provocative portrayal of bullying, Young Man with a Camera is a book to get people talking. T– is used to getting grief. He gets it from his mom, who blames herself for his accident years earlier. He gets it from Mr. Lam, who suspects every kid of stealing from his shop. Worst of all, he gets it from Joined at the Hip, a trio of bullies so vicious that they leave T– terrified of even using his entire name. But T– has his own strength too: his camera, which captures the unique way he sees the world. His pictures connect him to Ms. Karamath, the kind librarian at school; his friend Sean, whose passion for mysteries is matched only by his love for his dog; and especially Lucy, a homeless woman who shares his admiration for the photographer Diane Arbus. When Lucy is attacked by Joined at the Hip, T– documents the assault on film. But the bullies know he has the photographs, and their anger could be deadly. What’s the right thing for T– to do? Do pictures ever tell the whole truth? And what if the truth isn’t always the right answer? Finally, I recently discovered the Secrets series by Orca Publishing in Canada. All of the authors are Canadian, and all of the books are YA and deal with a secret of some sort. 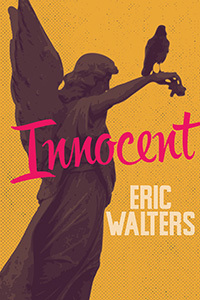 Kelley Armstrong’s book and Eric Walters’ books were the two that grabbed me the most. The other authors are Norah McClintock, Vicki Grant, Marthe Jocelyn, Kathy Kacer, and Teresa Toten. I think this is a great way to introduce Canadian authors, and I really like that the stories take place in Canada – It is a refreshing change! I would love to see more sets like this, almost like a “sampler” of Canadian authors. Tess has always been tormented by wa king visions that make her question her sanity. When the orphanage she lives in burns down, she decides to face her fears and find out once and for all what is wrong with her. She believes the truth must lie with her parents, and so, armed with only an address and phone number, Tess travels to a crumbling mansion in rural Quebec, where she discovers evidence of mistreatment of mental patients. She also makes an unlikely ally and gradually unearths her family’s sad history—and finally accepts the truth about her paranormal powers.